The IP116 Plus is a new addition to the Chuango wireless smart home portfolio. Download the app by searching "IP116 Plus" from App Store or Google Play or just scan our QR code in the package's back. Then follow the steps and add the camera into your app, via the app, you get to see and hear what's going on in your property anywhere at anytime. Together with Chuango intrusion alarm system, you get to enjoy a smart and secure home or SOHO environment effortlessly and affordably. 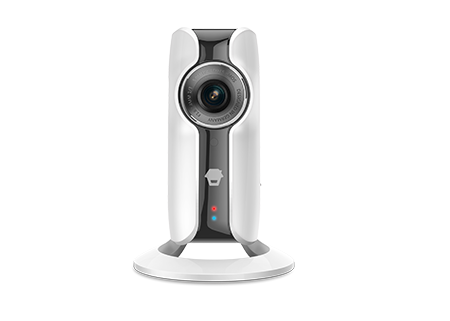 Armed with high-caliber image sensor and 10pcs of infrared LEDs, Chuango IP116 Plus offers high video quality and renders clear visual confirmation and evidence in day and night. The IP116 Plus is always recording in a loop onto your microSD™ card, and you only get notifications when motion is detected (user adjustable). You can access recorded footage or motion triggers remotely from anywhere in the world, anytime. When a movement is detected, an app notification will be sent to you in real time, you will also be able to look in on the scene via Chuango IP116 Plus camera to determine the proper course of action to take. Without any wireless settings or setup complications, all you need to do is turn on your IP116 Plus, download the free App, add cameras, and you get to enjoy a smart and secure home. With advanced noise reduction capability, the highly sensitive, omnidirectional HiFi microphone in Chuango IP116 Plus sets another benchmark in two-way communication. Whether it's checking in on your elderly family members, pets or children, Chuango IP116 Plus guarantees delivery of what needs to be seen and heard. Worldwide reach with next-gen processing power and Amazon server hosting, Chuango IP116 Plus reliably delivers the view that matters the most to you, with options to allow for simultaneous viewing by multiple users.